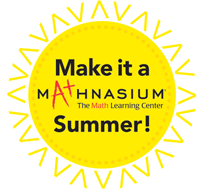 Offering summer programs for Marblehead MA, students — it’s Mathnasium! Are you looking for something to fill the summer break with? Why not choose a program that places education first? “Summer slippage” occurs when students are left idle during the summer. With about two-and-a-half months’ break, there’s no better time to master concepts and prepare for the next school year. Occupy your student while preparing him or her for success! Fun, interactive and hands-on, Mathnasium’s Marblehead, MA, summer programs keep it interesting for students, to promote a positive learning environment. It’s important your student remains interested in subject matter. Our certified, well-trained tutors connect with students to make sure material is being processed and internalized. Note: If there are certain areas your student struggles with, let us know, and our tutors will plan lessons accordingly. When you enroll* in our Marblehead, MA, summer programs, your student receives 16 one-hour sessions, which you can schedule at your convenience. It’s up to you! *Early Birds: Enroll by 4/1 for 10% discount | Enroll by 5/1 for 5% discount. Whether your student is in elementary school, middle school or high school, Mathnasium has the tools in place to sharpen skills and prepare for the upcoming school year. No matter the skill level, students receive comprehensive one-on-one or semi-private tutoring that helps them master concepts and fundamentals necessary for success. Register your student in our Marblehead MA summer programs today, and embrace education this summer break!